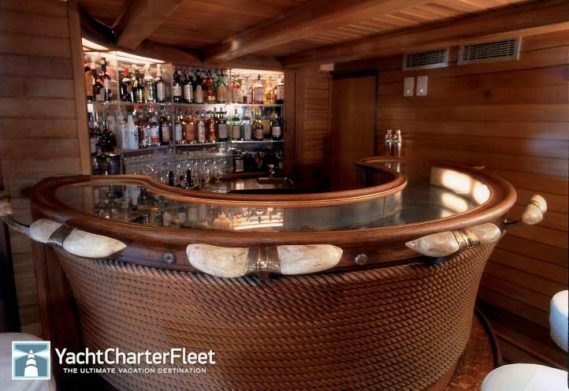 Steeped in history, this renowned superyacht has played host for some of the most iconic and culturally significant celebrities in America's history. You want celebrity gossip? 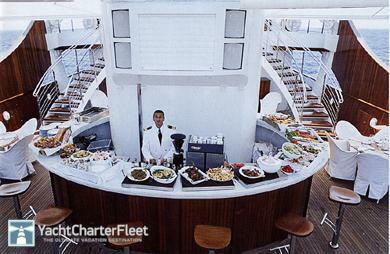 Then step aboard Christina O and let her regale you with stories past. Christina O is a 325ft (99m) custom motor yacht designed and built in 1943 as a Canadian anti-submarine named HMCS Stormont. She was even present at the D-Day Landings! 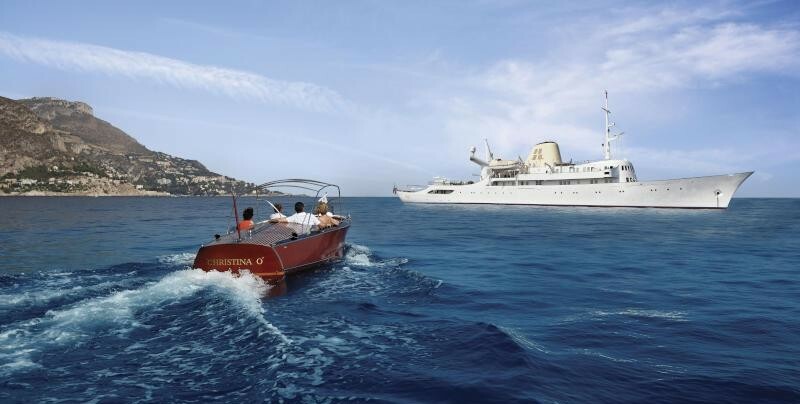 After the end of the second world war it was purchased by billionaire Greek shipping magnate Aristotle Onassis who spent $4million converting her into a luxurious superyacht which he named after his daughter Christina. When Aristotle died Christina gave the yacht to the Greek government who renamed it 'Argo' and promptly let it fall into disrepair. In 1998 an Onassis family friend purchased the boat and spent $50million retrofitting it and restoring it to it's former glory. He renamed the boat back to Christina in honour of his (now departed) friend. In 2012 Christina O was made available for Private Charters and Cruises, finally allowing the rest of us to step aboard and be enchanted by her timeless beauty. 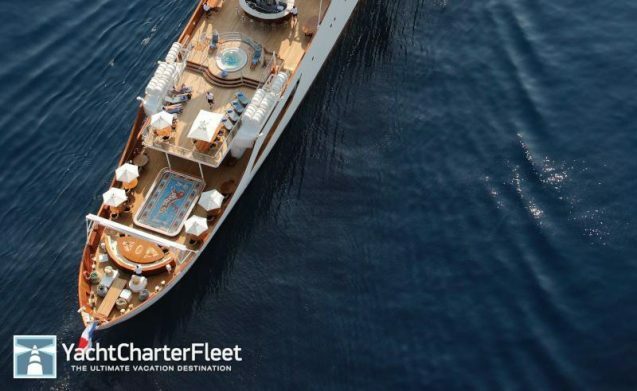 This iconic Superyacht can sleep 34 guests in what is arguably a hotel on water - boasting 17 staterooms and 3 VIP staterooms. 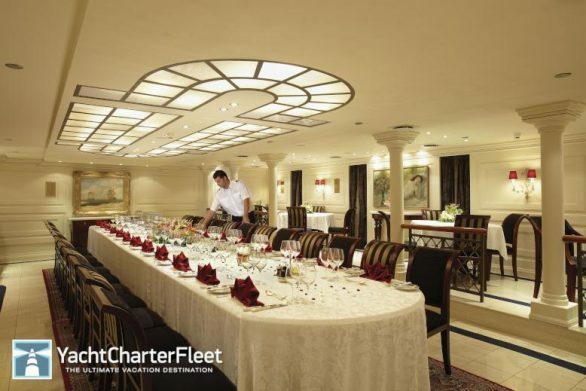 But don't for a second think of doing anything laborious because Christina O is also capable of carrying up to 39 crew onboard, ensuring a relaxed and luxurious yachting experience for all onboard. Christina O's interior furnishings pay respect to both her maturity and the history through which she was borne, featuring timeless styling, beautiful furnishings and sumptuous seating throughout her living areas that create an elegant and comfortable atmosphere. 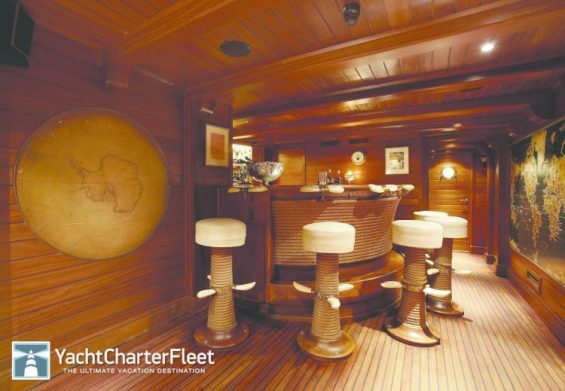 Top all this off with impressive leisure and entertainment facilities and it makes Christina O the ideal charter yacht for entertaining clients or socialising with family and friends. *See more photos of this timeless interior at the end of this post. When Christina O was launched she immediately raised the bar and set a new benchmark for what it meant to travel in style and luxury. 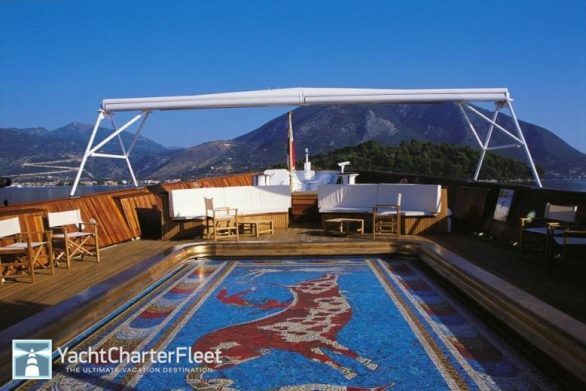 With grand interiors and unrivalled levels of luxurious ammenities she was a superyacht with sophistication that immediately drew the attention of the who's who in celebrity and political circles. 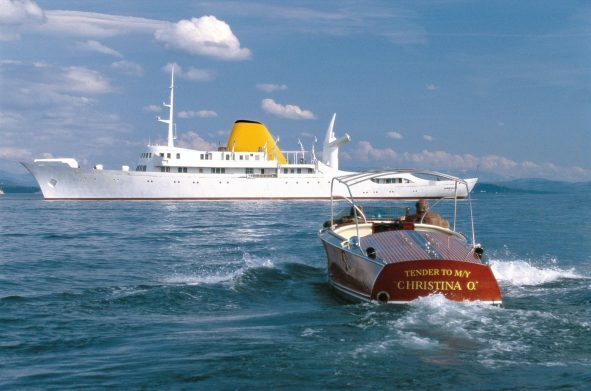 Including the famous owner Aristotle Onassis allow me to share with you some of the more famous names that have graced Christina O with their presence. Christina O even played host to the wedding of Princess Grace and Prince Rainier of Monaco! A host of other high ranking officials and big name celebrities have enjoyed time on Christina O but comparative to the calibre of names listed above, they are not worth mentioning. Sorry Maria Callas. Christina O is built with Steel hull and Aluminium superstructure.With a cruising speed of 14 knots, a maximum speed of 19 knots and a range of 5000nm from her 329000litre fuel tanks, she is the perfect combination of performance and luxury. 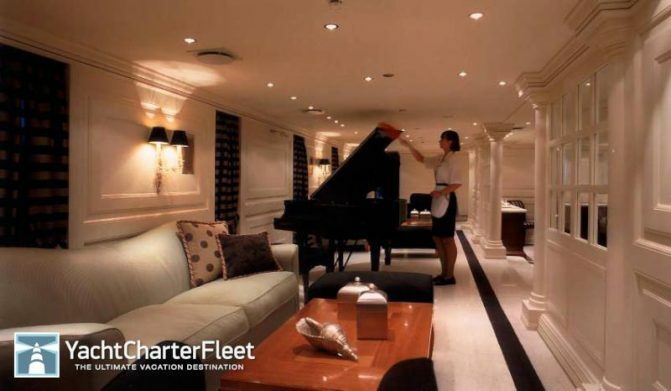 Some of her many amenities include a Jacuzzi (on deck), Lift, Air Conditioning, WiFi connection on board, Deck Jacuzzi, Gym/exercise equipment, Air Conditioning, Gym and Pool that converts into a dance floor.